The Honey Location service has been shut down. It’s no longer possible to track a phone from a PC with this app. Some users have reported stability issues with the current 3.0 version of HoneyLocation. I haven’t experienced any crashes myself but BoostApps reader Clark had it crash several times with an Unhandled Exception error on his i580. He found this older 2.1 version 2.1. So if you’re having trouble with 3.0 try this one. Features seem identical. Honey Location uses the phone’s GPS or nearest cell tower location if GPS is unavailable. It lets you track your phone and your friend’s phones on a PC or view your location on a map on the phone. Before you can use it you have to register at honeylocation.com. Registration is free. I think technology is now helping us to know places which are far. I am looking for a tracking app to track my sons phone without him knowing that I am doing this. My friend has AT&T and they have an app that she downloaded to her phone so she can track her child without it being on his phone. She just enters in his number and as long as his gps is on it works. Does Boost have anything like this? I don’t know of any tracking apps that work on Boost’s CDMA feature phones. You best bet is an opperator with a network based kid finder service like Kajeet or Zack. Also, unless you are the NSA tracking someone without them finding out is virtually impossible. 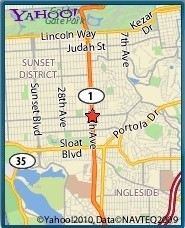 You can use L attitude (part of the built-in Google Maps App on the Prevail). If you search for tracking in the Android Market you will see many others. I haven’t used any of them but GPS Tracker by Instamapper and Family Locator by Life360 are popular and have good reviews. There are several other tracking apps at http://boostapps.com/tag/tracking/ All are compatible with iDEN phones like the i856 and i290. Hard to say but it looks like they might be gone for good. Will this app work on a sanyo juno? Probably not. I don’t think any GPS apps except Boost Navigator work on any Boost CDMA phones except the BlackBerrys. I don’t now of a free program for that but if you know which operator the recipient is on you can send an email with the audio or video attachment to the operator’s email to MMS gateway. can i track my sons i465 from home on my pc with this? i know i can download and install this app however i cannot seem to get the link provided to let me set up a new user account so that i may access the application. david please help me. If you don’t have a PC try using Opera Mini 4.2 to register. I just tried it and it worked. is there any site by any chance that u know where people with such phones can download apps that are JAD files to cdma phones? However GPS apps won’t work on Boost CDMA phones no matter where you download them from. But at least some games, browsers, eBooks, messagers, etc. should work. To download an app on a CDMA phone like the Incognito, visit the download page with the phone’s browser and click th .JAD link. BUT, GPS apps like Honey Location will not work on the CDMA phones, only Boost iDEN and also GSM devices that haven’t been crippled by the operator.